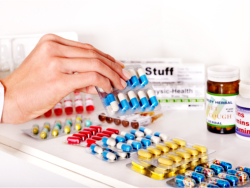 We offer high-grade pharmaceutical vitamin supplements here at Riverview Pharmacy at an affordable price to suit your specific needs. Riverview Pharmacy can accommodate your need for vitamins to supplement your daily nutritional intake. For prescribed vitamins that we do not have in stock, you can call us at (973) 831-4080 to ask help from our pharmacists.